Showing results by author "Jack Buck"
In his forthright and honest autobiography, St. Louis Cardinal, World Series, and Super Bowl broadcaster Jack Buck entertains all of his fans once more in a different setting. 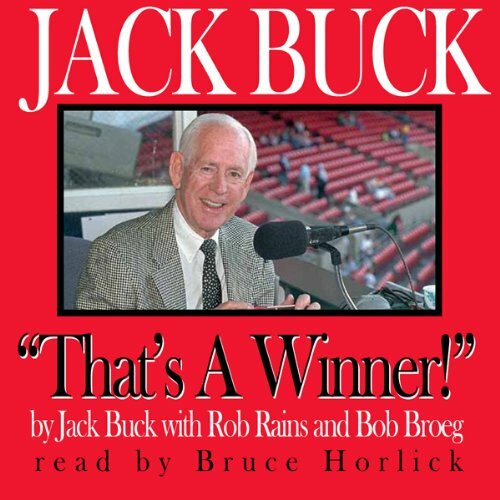 Jack Buck: "That's A Winner!" does more than entertain, however. It provides readers with an inside look at a man they have listened to so often they consider him part of the family.